Will Your Counterclaim Backfire on You? Nobody wants to get sued, but unfortunately, it does happen despite one’s best intentions to prevent it, and it can happen to you. When a lawsuit does occur, it is only natural to wrack your brain for what you did wrong and to be indignant when you realize that you did everything right. To prove that, you may file a counterclaim, which could prove to be a very good thing or a very bad thing. At the office of Edward J. Jennings, P.A., our Fort Lauderdale business litigation attorneys encourage business owners to only file a counterclaim if they absolutely mean it, meaning they have proof that the claim brought against them is wrong. If you have recently been sued and are thinking about filing a counterclaim, consult with an experienced attorney before you take any definitive actions. Too often, business owners file a counterclaim not because they necessarily believe that the plaintiff is wrong, but more so as to prove that the plaintiff is not perfect either. For instance, a client may file an errors and omissions suit against you for failure to perform specified services, and you may file a counterclaim because the client violated a previous contract you had with him or her. The two issues are completely separate, and the client’s breach of a previous contract in no way defends your violation of the contract in question. Once you file a counterclaim, you may decide later that your counterclaim should have been brought as a separate action. However, if the case has already progressed and if trial is imminent, you may not be able to withdraw your counterclaim. If you cannot withdraw your counterclaim, you may lose all right to litigate the client’s breach of contract entirely. This type of situation is a lose/lose for you, as even if you win the E&O suit, you will still have to pay for attorney fees and other costs associated with the lawsuit. If you lose, you will be forced to pay attorney fees and a settlement, and you will have lost all opportunity to win your money back via a contract violation claim. However, there is a chance that the judge might have mercy on you. According to the Federal Rule of Civil Procedure 41(a)(2), every counterclaimant has the right to withdraw a claim without prejudice, and upon approval of the judge. While the judge is free to use his or her discretion when deciding whether or not to allow dismissal, there are some factors he or she must consider. 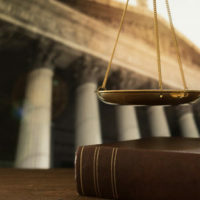 In accordance with Federal Rule 41(a)(1)(A)(i), the court must consider whether or not the motion for dismissal was filed before a responsive pleading is served. If there was no responsive pleading, the judge may still approve a dismissal if the motion was filed before evidence was introduced at a hearing or trial. Beyond that, the judge may use his or her discretion to dismiss the counterclaim, and may consider factors such as the opposing party’s efforts and expenses in preparing for trial, whether or not there is a sufficient explanation for dismissal, and where in the litigation proceedings is the current case (was the claim just filed or is a motion for summary judgement pending?). Of course, if you or your business is sued for any reason, you should never approach litigation without adequate representation. The knowledgeable Fort Lauderdale business litigation lawyers at the office of Edward J. Jennings, P.A., can help you prepare for your case and, if we deem it necessary, file a counterclaim. If we determine that a separate motion is necessary, we will let you know and help you through this first case in addition to helping you prepare for the next one. To obtain the representation you need, reach out to our law offices to schedule your initial consultation today.